In recent years, book lovers everywhere have been faced with the question of whether or not an e-reader can compare to the tactile sensation of holding a good book in one’s hands. There are pros and cons to both, but in this discussion, there’s one reading medium that’s frequently overlooked: the audiobook. I have yet to hear a single person panic about the easy availability of audiobooks, and what that means for the future of the physical book. Nevertheless, thanks to the internet and the widespread use of various forms of technology, audiobooks are easier to acquire than ever, and easier to consume. 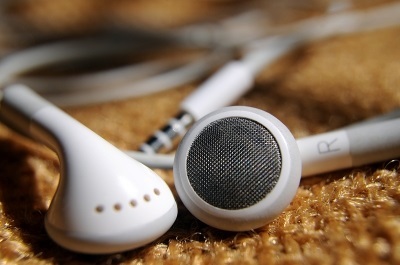 With ipods and smart phones, readers can grab a pair of earbuds and listen on the go. They can even do other tasks while reading. There’s another advantage to audiobooks too: for some, they’re more accessible than physical books. My younger brother has dyslexia, so when we were kids, my mother turned to audiobooks to help him read. She didn’t want the world of writing that everyone else could access to be closed off to him because of his disability. People who are blind can also benefit from audiobooks for this reason. My family used to listen to audiobooks on long car rides, so vacations were prime reading times. So were easy, everyday chores. We’d listen to a chapter of From the Mixed-Up Files of Mrs. Basil E. Frankweiler while loading the dishwasher or folding laundry. We’d usually end up sitting and listening once the chore was done, too absorbed in the story to look for another task. My favorite audiobooks were read by actors who changed their voices for different characters. To this day, there’s a line from the aforementioned book that my family frequently quotes, because of how hilarious it sounded when read aloud. That brings me to the best part about audiobooks: the audio part. They add something to the reading that isn’t there in a paperback or e-book. The actor’s inflections and voicing of the characters adds another layer to the reading. Reading an audiobook isn’t just reading, it’s experiencing a performance. The difference between experiencing a physical book and an audiobook is similar to the difference between reading a play and seeing it performed, though subtler. All this makes me wonder why audiobooks aren’t more popular. Most of the people I’ve talked to about this—people who love to read—are far more likely to read a physical book or e-book than an audiobook. I initially thought this was just chance, and that I happened to only know fans of physical books and e-books. A Google search brought me to some statistics from the Pew Research Center, which can be viewed here. Despite my small, relatively insignificant sample size, it seems my experience matches the statistics. People are actually reading far more physical books than anything else, with e-books coming in second at a much lower percentage, and audiobooks dead last. Seeing this information, I can’t help but wonder what percentage of readers has never listened to an audiobook. Are people choosing physical books and e-books out of preference, or out of habit? I certainly have a bias toward audiobooks. While I don’ t prefer them over other forms of reading in all cases, I like to read them. I have trouble imagining that most readers have tried them and chosen to never use them again. Then again, maybe audiobooks are sometimes not as convenient as other forms of reading; not all books are available in audio form. That might send some people to a different reading format. Some people find their focus drifting away during long periods of listening, but I personally find that audiobooks increase my typically short attention span. In middle school, the CD version of The Lord of the Rings helped me get through Tolkien’s lengthy descriptions of Middle Earth. Often when I’m reading something that’s particularly dense, I wish I had an audio version. Maybe I’m an auditory learner, or maybe it’s because an audiobook keeps plowing ahead at a steady pace, but whatever the reason, I’ll probably always be a big audiobook fan. I’m seriously considering getting a subscription to audible.com after college, once I have more time to read for fun. Have you tried audiobooks? What’s your opinion about them? Feel free to leave a comment! This entry was posted in Uncategorized and tagged audio books, Books, e-readers, learning, listening, Literature, Reading on March 25, 2015 by edefreitas.